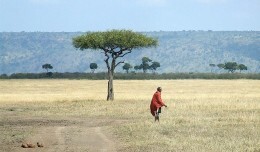 Africa's Leading Tailor Made Safari Operator. 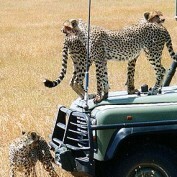 We specialise in assisting travellers to tailormake authentic, innovative and unusual trips to Africa. We do not charge for our services, but instead are rewarded by commissions paid to us by the lodges. In fact a trip arranged through us is often considerably cheaper than one booked direct. Certainly it should be a good deal easier to put together and more reliable on the ground. We are a relatively small company, owned and operated by people who have a passion for safari, with many of us having extensive first hand experience of living and working in the bush. For over a decade now we have been trying to create a top class African travel company. Over the next few pages we would like to let you know a little bit more about what we do, how and why we do it.